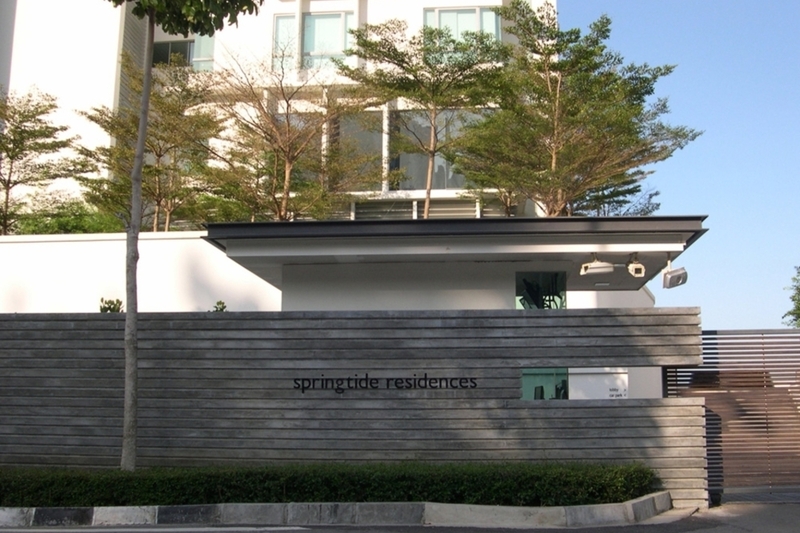 Springtide Residences is a low-density freehold condominium with only 77 units. 3 of the units are villas housed in a single block of 39 and three-and-a-half storeys each. The built up is from 3,989 to 5,078 per typical unit. Facilities provided are a gymnasium, swimming pool, Jacuzzi, barbeque area, landscape garden, car park and 24 hours security with CCT surveillance and Smart card access system. There are many amenities in the area such as adjacent Chinese Swimming Club and Island Plaza. Gurney Plaza and Uplands International School are also close by, albeit a 10 minute drive away along Kelawei Road.